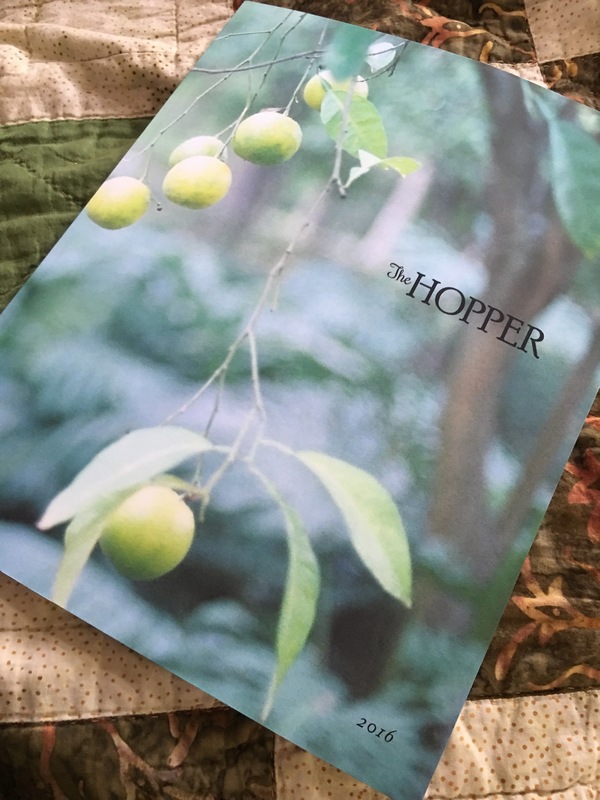 Super psyched to announce my essay “Burn It, Bury It, Send it Downriver,” is in the inaugural issue of The Hopper from Green Writers Press out of Brattleboro, VT.
Order your own copy here or here. The mag is beautiful in structure and design. 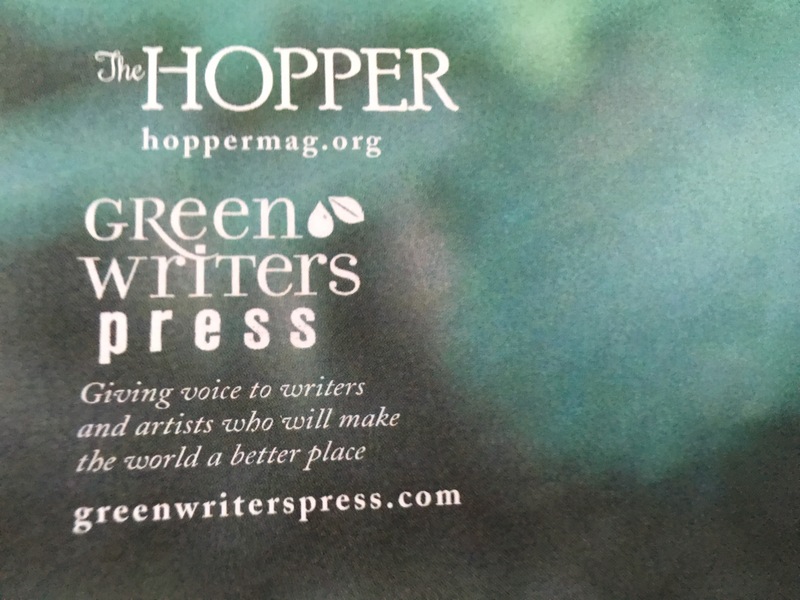 The writing is good, the voices fresh, and the press is worthy of your support. 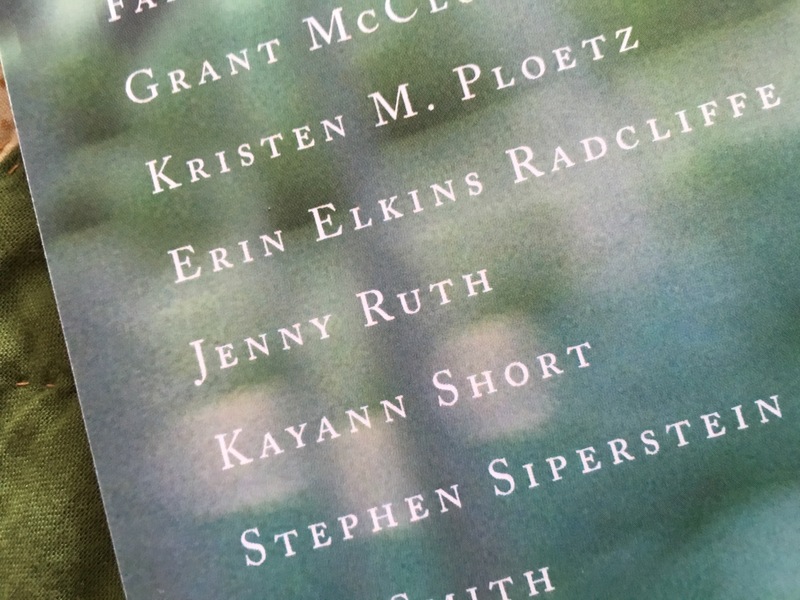 Working with editors Jenna Gersie and Rose Alexandre-Leach reminded me that I love having an editor. When I wrote professionally for 5 years I had an editor and daily feedback from my in-house clients. I want my writing to connect with the audience, and no one gets it there faster than a good editor. Rose asked me to chop off the opening 3 paragraphs off this essay. Then she told me why. I thought about it for a few hours, reread the piece, and knew she was right. This essay is another connection back to Barrelhouse’s conference in D.C. in April 2015. I attended a non-linear essay session led by Mike Ingram. I had a few scenes/thoughts sketched out regarding the weird things people do with their trash in rural PA where waste removal isn’t a given. Ingram’s talk and exercises led me to the central narrative of this essay. Like, I had the “oh yeah, that’s what it’s about” moment while considering my idea during his session. Outlined the narrative right then and there. When I started fleshing it out in my next writing session, it just felt good.